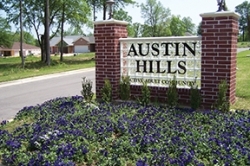 The Nacogdoches housing market has much to offer to those looking to retire in the area. Local builders are working to meet the needs of senior adults by creating subdivisions and apartment communities that cater to the desires and specific expectations of this age group. A wide variety of housing choices exists to accommodate area retirees, including patio homes, duplexes, condominiums, apartments and assisted-care facilities.